Merkur Dovo are the makers of the top selling safety razor in the world the Merkur 34c and adjustable safety razors such as the Merkur Progress and Futur. 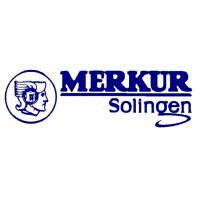 Merkur of Solingen has a history that dates back to 1896, when Emil Hermes registered the brand in Solingen, Germany. He used the name Merkur, the Roman equivalent of the messenger of the Gods. The first Merkur double edged safety razor blades began production at the beginning of the 20th Century. Merkur produced and patented several razor designs. All of which culminated in the Merkur 34C and the unique Merkur Futur adjustable double edged safety razor. In 1996 the Merkur company was taken over by the larger Dovo company and has played an important role in the re-emergence of Dovo as one of the world's leading razor companies.